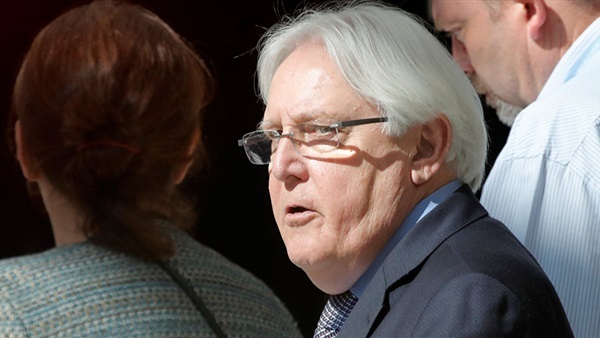 UN envoy for Yemen Martin Griffiths arrived here on Monday to push for the implementation of UN-brokered Stockholm agreement, reached between the Yemeni government and Houthi rebels in December with the aim of setting the stage for ending Yemen's years-running conflict and relieve the humanitarian suffering of its people. Michael Lollesgaard, the head of the UN monitoring committee known officially as the Redeployment Coordination Committee (RCC), arrived in Sanaa as well coming from Aden, according to Sky News channel. Griffiths and Lollesgaard, who is heading a team of UN observers and monitors, will be trying to push for the withdrawal of fighters from the Houthi-held port city of Hodeidah, stabilize the fragile ceasefire, and open new humanitarian corridors.